As the man who controls the Orange brand—once the benchmark for mobile branding—Didier Lombard has more than 101 million mobile customers (proportionate, Informa Telecoms & Media WCIS), predominantly in Europe and Africa. And he has taken that brand to the heart of France Telecom’s operations, re-badging across the French incumbent’s service and international portfolio. FT is a big company, one of the leading ten international cellular carriers ranked by subscriber numbers, but it’s not in the very top tier. This may be a source of frustration to Lombard and his board given recent attempts to bulk up through the courting of Telia Sonera in 2008. More recently the firm, like all of its UK competitors, was linked with the possible purchase of T-Mobile UK. Enterprise services is a key strategic strength for Lombard and he is also keen to focus where possible on multi-play offerings, particularly in Europe, where the firm is the third largest mobile carrier. 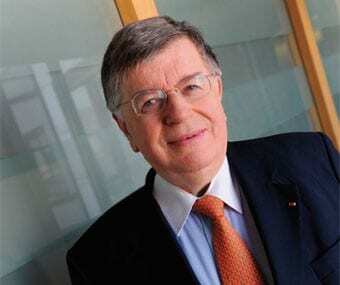 Lombard’s France Telecom cannot be ruled out of future, large scale consolidation.